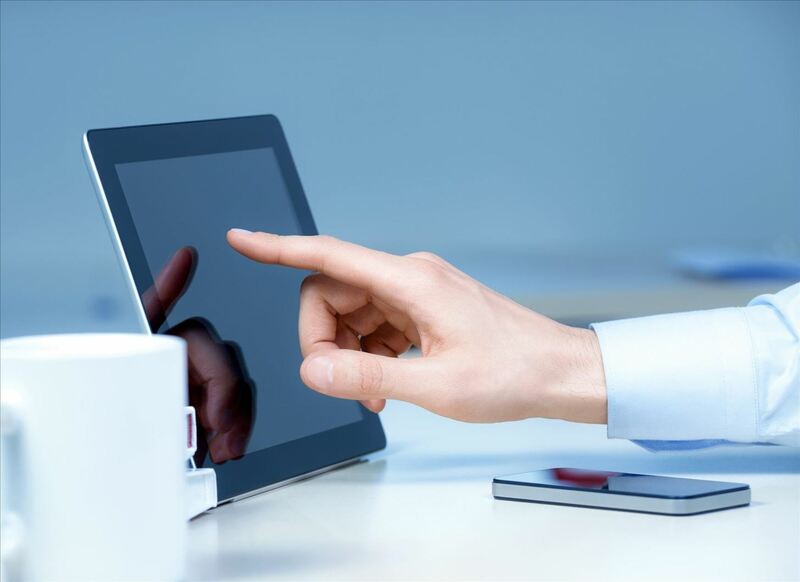 If you are willing to teach online, you might have thought of making online courses. But if you found it too hard, you can start with micro-courses, that can be created in 10 to 30 minutes. 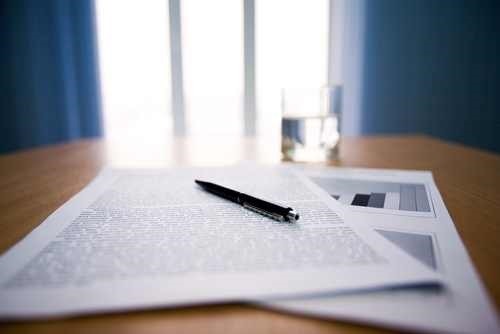 Step 1: Define 5-7 Main Points That You Will Cover in Separate Lessons. Each has to be up to 3 minutes long. Don't think it's to little. 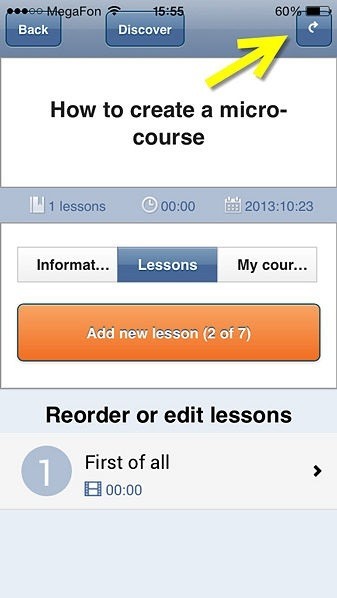 Later you will be able to detail each lesson with a separate connected micro-course. 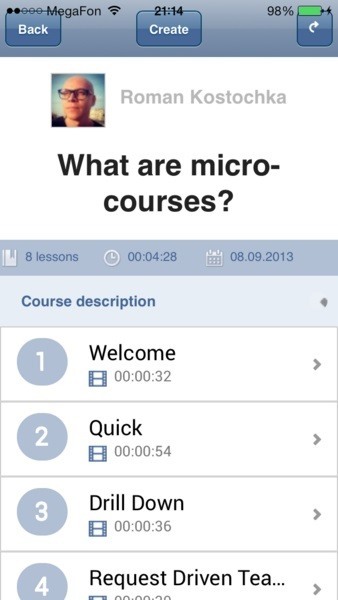 Step 2: Download and Install iOS App for Micro-Courses Creation. 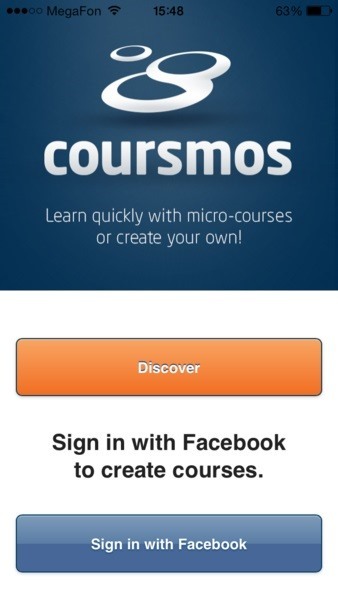 Step 3: Launch the App and Tap "Create a Course"
Step 4: To Create a Course You Have to Be Signed In. If it's the first time you launch the app, tap "Sign in with Facebook", next time you will be already signed in by default. 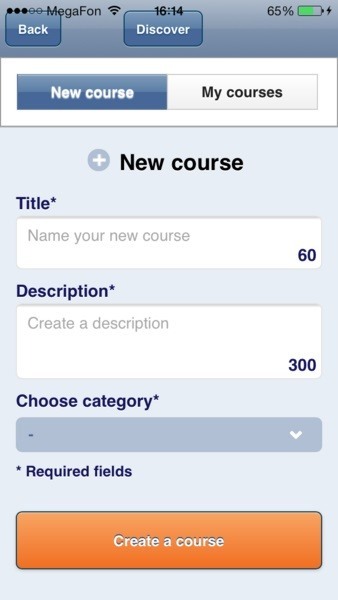 Step 5: Enter Course Title Up to 60 Characters and Short Description Up to 300 Characters. Choose category. 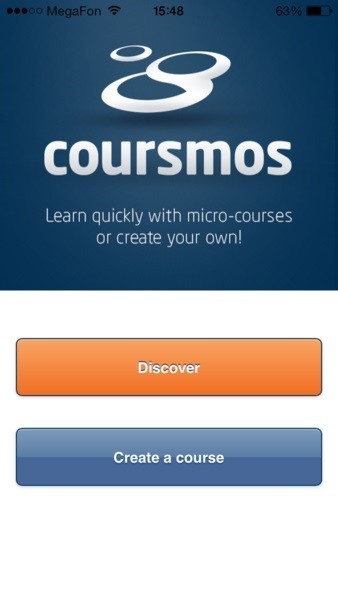 Tap "Create a course". Step 6: Course Unit Is Created. Now you can add lessons. 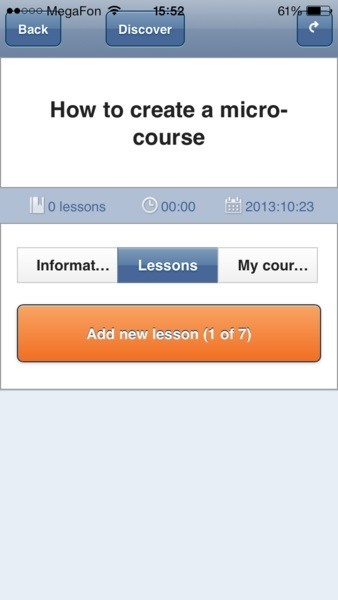 Tap "Add new lesson"
Step 7: Enter Lesson Title and Tap "Add Video". 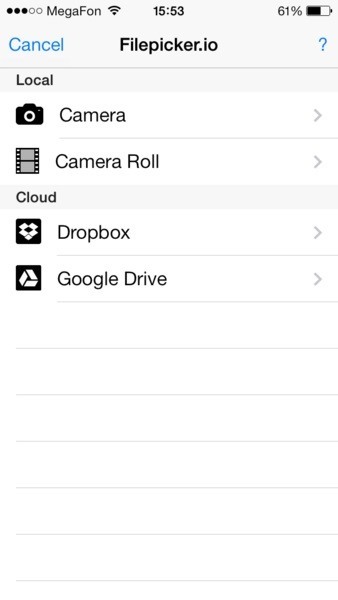 Step 8: Choose How You Want to Add Video - Record Right Now (Camera), Upload Existing One from Camera Roll or Upload from Cloud Drive. 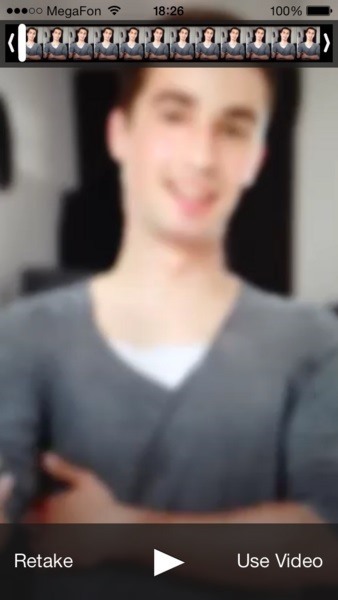 Step 9: If You Choosed "Camera", Standard iOS Shooting Tool Will Be Opened. 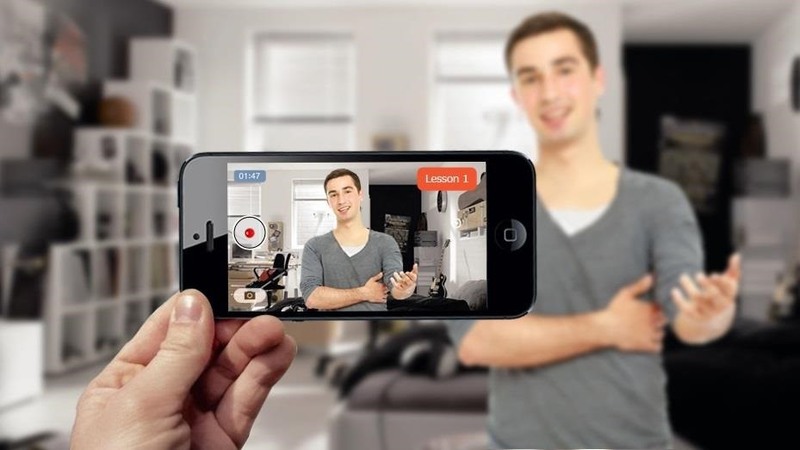 Record your lesson and tap "Use video' after recording is completed. If you're not satisfied with the result and want to try a new one, tap "Retake". 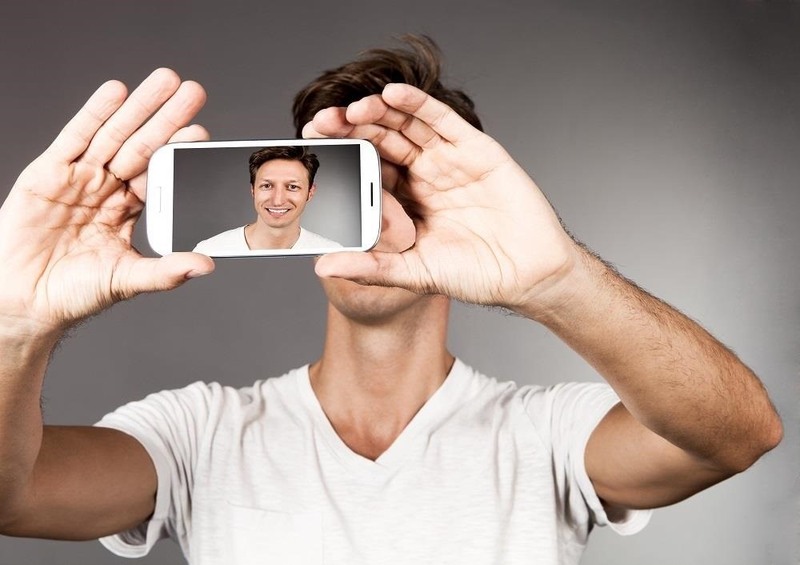 Step 10: Tap "Save Lesson" to Upload Recorded or Choosed Video. Step 11: Wait While Your Video Is Uploading. Notice that you need hi-speed internet connection for fast uploading. Step 12: Make All Your Lessons the Same Way. Step 13: When Your Micro-Course Is Ready, You Can Send a Link to Your Friends and Students by Email or Share It Within Facebook and Twitter. Just tap "Share" button in right-upper corner. Step 14: Choose How You Want to Share. 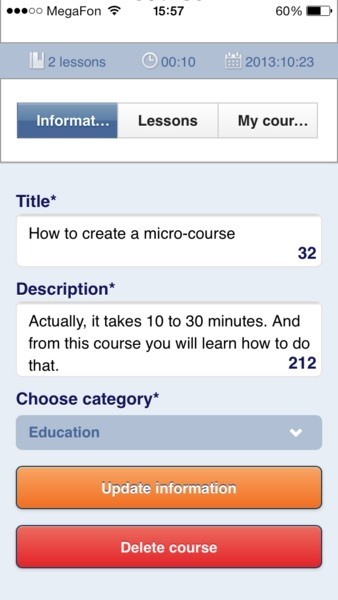 Step 15: You Can Update Title, Description and Category or Delete Your Course In "Information" Section. 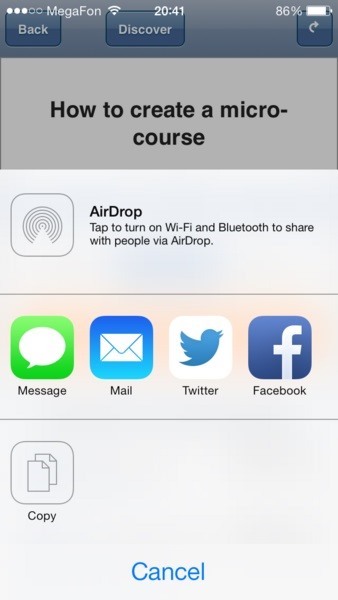 Step 16: Following Your Link People Can Watch Micro-Course Using Both Mobile Application or Web Browser.